- Timeless and eternal, this tiny serpent has coiled himself carefully into a loop without beginning or end. The stark simplicity and clean lines of the Infinity Snake Ring is almost hypnotic. 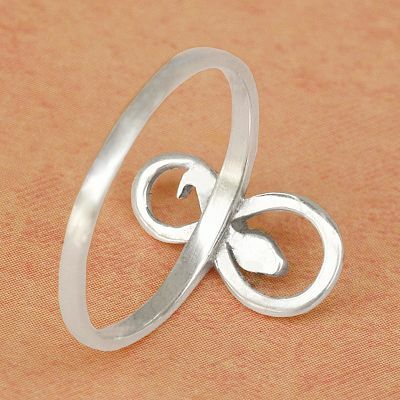 As much symbol as it is animal, this ring evokes a definite sense of beauty and balance. 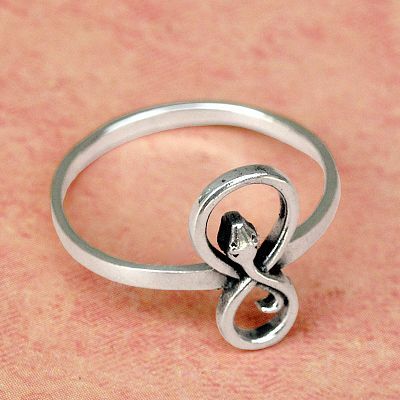 Like Ouroborous in the legends of old, this snake ring is a potent symbol of infinity. Does it represent boundless love, or limitless potential, or something else entirely? That's something that only you can decide. 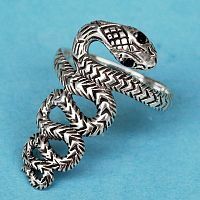 If traditional styles of jewelry just aren't your thing, and you are searching for something more your own style, perhaps this snake ring will fill the bill. Is there any meaning to the snake symbol? Absolutely! So much that it's hard to fit into a short answer. So many cultures use snakes in their mythologies that legends and stories abound. In general though, snakes are associated with hidden mysteries, transformation and renewal, knowledge, and healing. I encourage you to do your own research into this fascinating topic. I'm a big believer in men and women wearing whatever the hell they want, regardless of what "society" says, so I'm probably not the best person to ask. But I can tell you, there's nothing "girlie-girl" about this ring. It is simple, strong, and stylish, no matter whose hand it is on. That being said, it is only available up to a size 9, and the band is only 1/16" wide. This may not be the best choice if you have large hands. 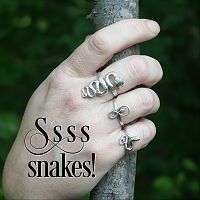 Do you have more realistic snake jewelry? Yep! We know that not everyone is looking for such an abstract, stylized looking snake. 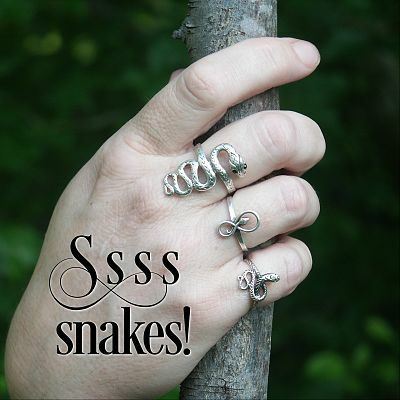 If you want something more life-like, check out our Coiled Silver Snake Ring and Large Silver Snake Ring. 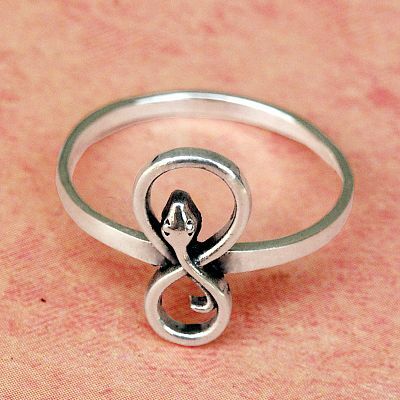 Do you have any other questions about our Silver Infinity Snake Ring?